The Home and Building Supply market is highly competitive and ever-changing. You may be selling primarily to the homeowner or to contractors, but chances are, you are doing both and more. Your product selection could range from lumber to power tools to small appliances. You require a business solution that is capable of accommodating your large inventory and varied customers. 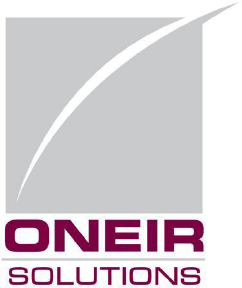 HOW CAN ONEIR SOLUTIONS HELP MY HOME & BUILDING BUSINESS? You need a handle on all aspects of your business. Inventory management, customer tracking and rental tracking may all be important to you. Because your products can be so varied, it is essential to know what is selling and what is not for any given time period. Track items and analyze sales by department, sub-category, type or product line. As the efficiency of your business improves and you can focus on the areas that generate the most profits. One-time shoppers become repeat customers when they know your store will always stock what they are looking for! This is a distinct competitive advantage over the “big box” stores. Your customers can be nearly as varied as your products. You are likely to sell retail and wholesale, as well as to contractors. Manage all your customer types effectively: set-up discounts for specific customer types (such as contractors) and track and analyze customers by type, allowing you to target specific groups for promotional mailings, sales announcements, etc. Use Oneir’s Point of Sale concurrently with Sales Order Tracking and Invoicing for maximum efficiency in managing all your areas of business. Then integrate these selling solutions with Inventory Control, Customer Relationship Planning, and Accounts Receivable, Accounts Payable and General Ledger for Financial Control and your business safeguards. Combine the benefits of the Purchase Ordering option for Materials Requirements Planning, Bank (Debit and Credit) Card Authorization and Payroll, and you have one powerful fully integrated software solution… and there is much more. ONEIR’s building materials ERP software is capable of accommodating suppliers’ large inventory and varied customers. Get the strategic competitive advantage without raising overhead. Contact us at 1.877.322.3580 or visit our online form to get more information on our building materials software. Thorough customer history tracking – easily access information on past purchases and retrieve information on dye lots, wood types, styles, etc. Frank Van Gelder has bigger things in mind these days for his building supplies company, Dwight Lumber, and that’s very fitting. Tiny though Dwight, Ontario, the village where Frank founded the family business may be, its Lake of Bays surroundings have a huge reputation. Ton Holten has never been afraid to make a move. He began his long sojourn in the ceramic tile industry by driving tile-laden tractor-trailers for a Dutch forwarding company from the far reaches of two continents back to his native Holland. It’s not as if Decorators Choice Paint Store president Silvana Pace and her co-owner husband didn’t like what Vigilant was doing for their original store. They sure don’t build them like they used to. At least not at ZyTech Building Systems Inc. based in Balzac, Alberta.